It sits on a large stone structure, with a reflecting pool. 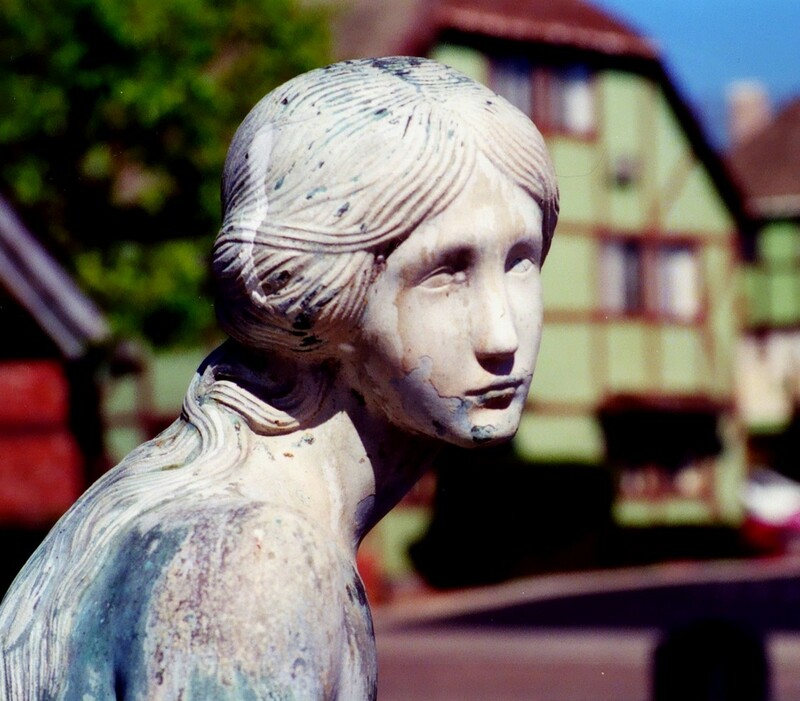 The city of Solvang is the largest danish settlement in America, and has a substantial tourist industry based on its danish heritage. It was founded in 1911 and has over 150 art galleries, restaurants, souvenir shops and other attractions, including a Danish windmill, a Hans Christian Andersen Museum, and many buildings built in old Danish architectural styles. 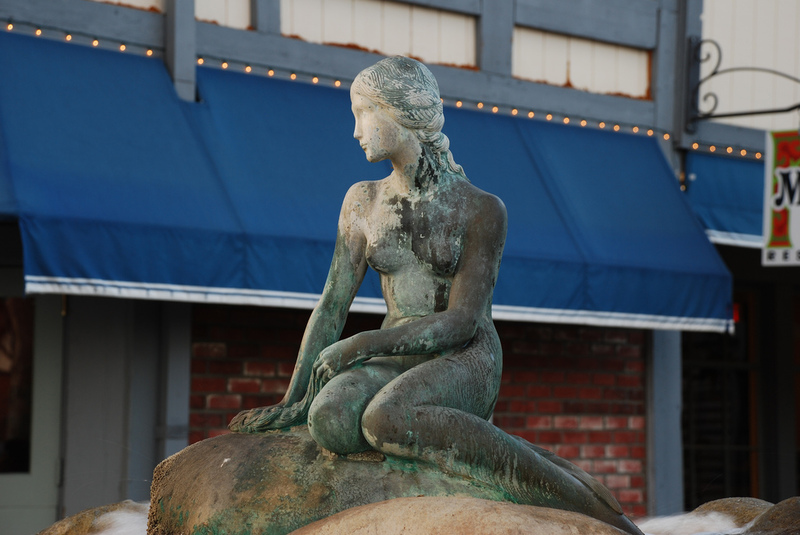 The Little Mermaid statue in Solvang. 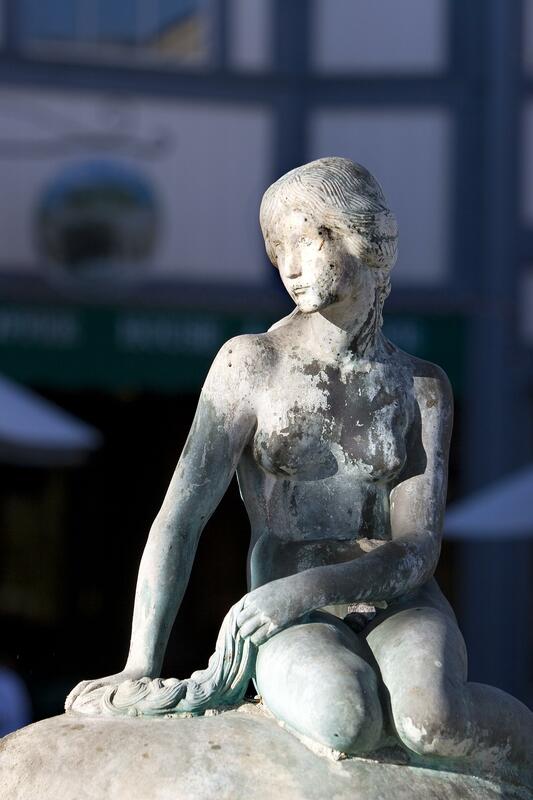 Photo by Solvang Conference & Visitors Bureau.